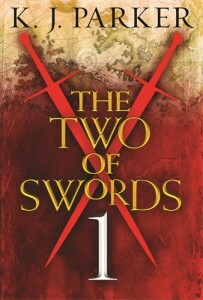 Today marks the publication of the first three parts of K. J. Parker’s brand new fantasy epic, THE TWO OF SWORDS – a war story on a grand scale, told through the eyes of soldiers, politicians, victims and heroes. A new instalment will be released every month. To celebrate the launch of this new serial novel – and after keeping his identity a closely-guarded secret for 17 years – K. J. Parker has finally cast off his Cloak of Invisibility and revealed his true identity. Jared Shurin has all the details . . .